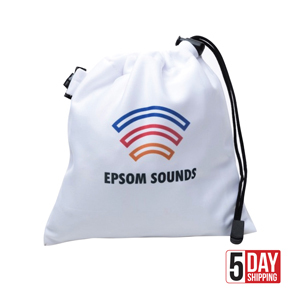 Golfer's quality polyester white goody bag printed full colour to your design, with a black drawstring top and a clip for attachment to golf bag. Dimensions : W190mm x H200mm. Print Area : 100mm x 100mm. Leadtime: Ships on 10 working days from an am pdf proof approval.